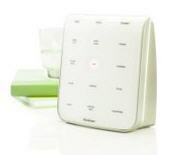 You are here: Home / Sponsors / Brookstone: Cutting Edge of the Health Revolution. Smart, healthy stress-reduction. Brookstone: Cutting Edge of the Health Revolution. Smart, healthy stress-reduction. Affordable, tested, drug-free solutions for a healthier life-style. Brookstone offers the overstressed consumer healthy, affordable, drug-free solutions to combat stress and increase concentration at home, office or during travel. Brookstone products are conceived, designed and tested by Brookstone at their New Hampshire headquarters/Brookstone Laboratory. Known for unique gifts and fascinating gadgets, Brookstone is on the cutting edge of the health revolution. Brookstone, Inc. is an innovative product development and specialty lifestyle retail company that operates 310 Brookstone Brand stores nationwide and in Puerto Rico. Located in high-traffic regional shopping malls and airports, the stores feature unique and innovative healthy lifestyle products. The Company also operates a Direct Marketing business that includes the Brookstone catalog and an e-commerce website at http://www.Brookstone.com. Brookstone offers smart solutions to everyday problems. Store visitors can enjoy themselves – luxuriating in a premium massage chair, experiencing Brookstone’s foot massage solution or relaxing with a Tranquil Moments sound machine. Brookstone believes there’s always a better way to do things. And they created a world of innovation to prove it. One of the fastest growing parts of their business is healthy lifestyle and wellness solutions—smart, drug-free ways to help you feel your best. No appointment necessary! Brookstone Labs separates the company from the competition. U.S.-based Brookstone Laboratory is the company’s dedicated in-house team, responsible for the concept, design, engineering, development and quality of new products; refining and enhancing existing products; and putting each and every product through its paces to assure the highest level of quality, functionality and performance. These reviews really say a great deal about how each customer makes a healthy lifestyle product from Brookstone his/her own—the different uses and reasons for use are unique. The first night we used this sleep system, both of us slept great! What’s best about it is that you can set the timer and it gradually fades out when the time is up, so as not to awaken you with an abrupt stop. I received a sleep mask with this product, and was surprised at how much better I slept with complete darkness. This sleep-aid is great, because you get a wide choice of sounds. We have one in our bedroom, and our 11-year old has one, too. It really helps him to sleep when he’s had a full day. Who am I to disagree…with scientific sleep studies? I have bought numerous ‘lull you to sleep’ CDs, none of which give me the fulfillment of rest in the morning as the Tranquil Moments Sleep Sound Machine does. If you value your sleep, this product is invaluable! We turn the sound machine on each night. Within 10 minutes, both me and my husband are fast asleep. We both LOVE this product. Very effective and very good quality. No complaints at all, other than I wish I had bought one years ago. I originally bought this product to travel. I like it so much that I use it at home every night. It is so easy to use that my 3 year old son knows how to change the different sounds. I prefer the rain. He loves relax. I like the fact that it is small enough to travel easy and not be so bulky. This is great if you travel a lot and just need to create a relaxing feeling in a hotel room. It drowns out all the regular “hotel sounds”. Improves circulation. Relieves tense muscles. All of our company loves to come over and use it while they are here. Great for runners or athletes! As a Runner, I frequently have trouble with tense calves and sore heels. Treatment is the only solution. I hesitated long and hard about the price, but finally the pain brought me to turn to this product. I’m so glad now that I did! It’s like I have my own private massage therapist after each run! iSqueez…my new best friend. I worked at a hospital where they had these in all the nursing breakrooms. It made a HUGE difference during a 12 hour shift. Just 10 minutes made my feet feel better. I had to buy one for myself and I still use it after a hard day and my husband uses it after jogging. It’s a lifesaver! A great end to every day! A great way to rejuvenate those “dead legs” from standing all day. Your legs actually feel lighter when you finish. Doesn’t take long and you can use it while reading, conversing, or watching TV. Do yourself a favor and GET THIS! This massager is incredibly forceful in its kneading action. It may take a while to get used to it or to figure out the best angles to hold your feet at to achieve different types of results on different muscles. I use mine a few times every day and it’s always a tremendous pleasure, no matter which mode I use. It surpasses any other foot massager I’ve ever tried. Fantastic!!! This was one of the best investments my husband and I have made in a while. We spoiled ourselves for our wedding anniversary and purchased this massager. 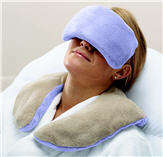 It is fantastic to come home and go directly to the massager and spend 15 minutes sitting there enjoying and relaxing. This product changed my life, literally. I have a lot of pain in my legs and feet and I cannot believe the difference in how I feel. I like my Zero Gravity chair enough that I bought a second one for my sister and family. I use it several times a day, every day, so it is worth the price to me. Before having the chair, I needed to go to the chiropractor about every 2 to 3 weeks. Since I have had the chair, I have not been back to the chiropractor. By using the chair at least once and sometimes twice each day, it loosens the muscles up so they do not pull the vertebra out of alignment. Sometimes I get stiff during the night so I climb into the chair a few minutes before I go to work. Use each evening after a stressful workday for an hour. Use 1/2 hour before bed, relaxes the muscles enough to put one right to sleep. We bought this massage chair to help my wife heal from a neck/back injury. She spends up to (and sometimes over) an hour each day in the chair. It has provided her with significant relief from her aches and pains. As an added bonus, I have found the chair quite useful for my often times tight back. My daughter (8) also enjoys the occasional massage. I would recommend this chair for anyone feeling “creaky” or who just wants to feel good. I love this chair!!! I have chronic back problems due to a couple of car accidents. It is so nice to have this chair right in my home that I can use any time of the day or night. Relaxation at its best! Keep it in a easy use area, you will want to be able to use it often. Give the chair its time to do its work, you WILL Greatly appreciate it after it does its magic. Anytime relaxation at home. My job needs me to sit in front of computer all day long, although I workout quite frequently, 3-5 times a week, my back and shoulder still bothers me now and then. 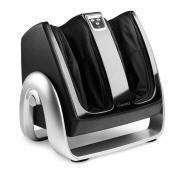 I was so craving for good quality massage so I went on line and finally targeted this one at Brookstone, the price was friendly and its user reviews were appealing. I went to the local store and after 30 minutes try I bought this chair without hesitation. now I can enjoy massage anytime… it’s pretty versatile and easy to operate,the leg/thigh massage is awesome, especially after an intensive workout. Love my chair. Both my husband and I have severe back problems. While this doesn’t take away the pain, it temporarily relieves it. On the health-care setting it even gives us that “oh it hurts so good” feeling. I tried more expensive chairs and they didn’t go the length of my body the way this one does – from the middle of my head to my ankles.